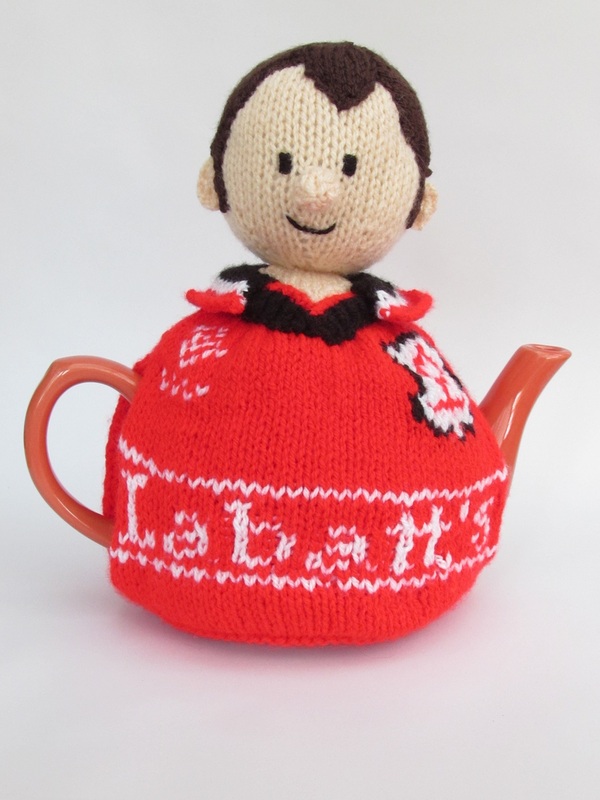 The Nottingham Forest football supporter was first designed as a bespoke tea cosy design, but has been re-designed so that he can be knitted to be anyone's brother, hubby, nephew or any male Nottingham Forest football supporter. 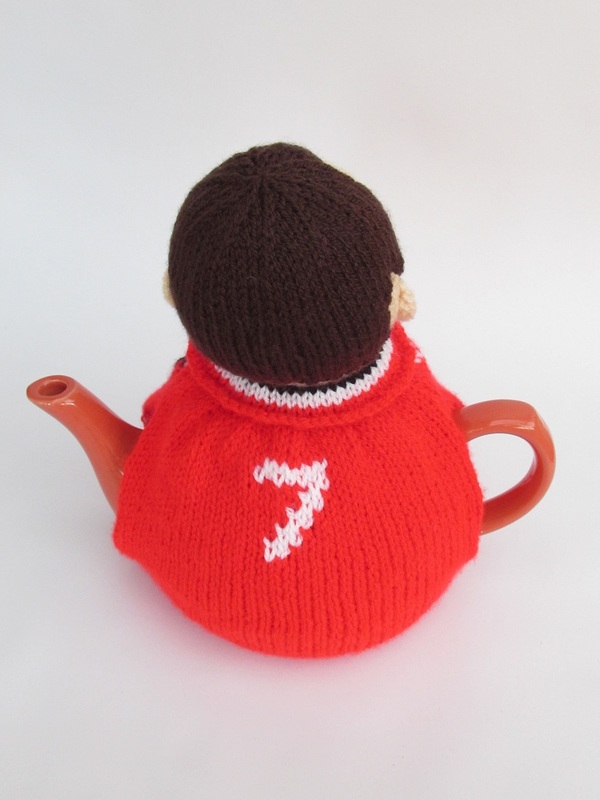 The tea cosy pattern comes with patterns for numbers from 0 to 9 so you can add which ever number player you like to the back of the shirt. 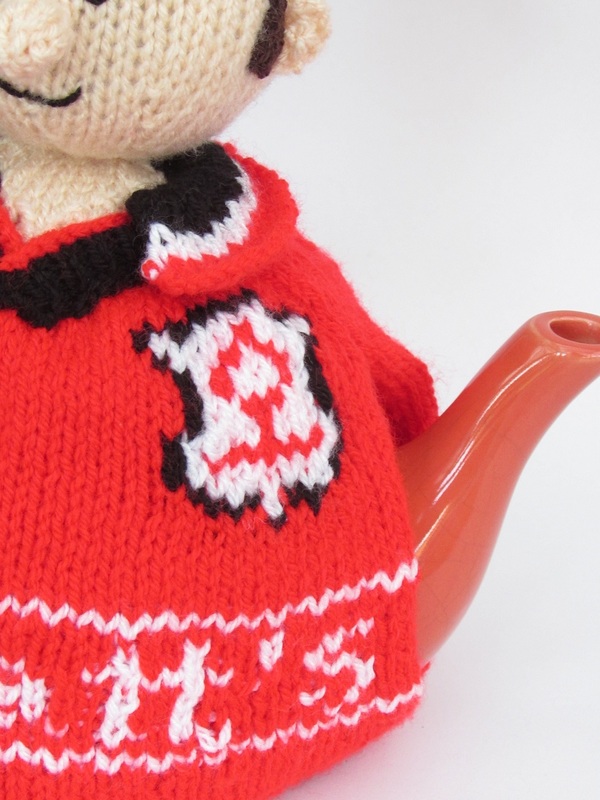 The pattern also enables you to add one or two numbers to the back of the shirt, so you could personalise to someone's age for example. 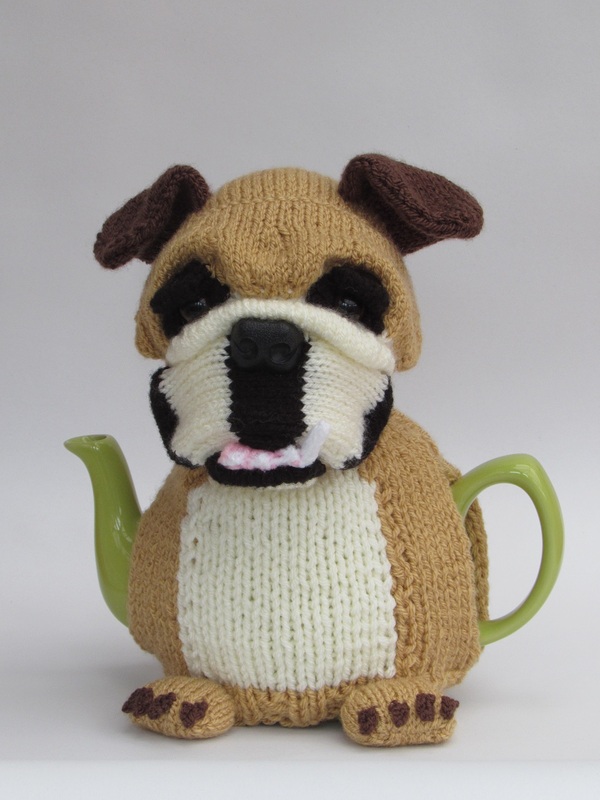 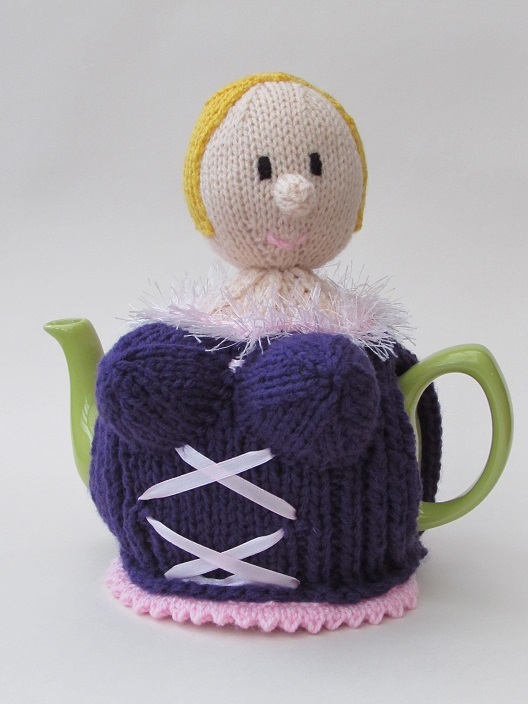 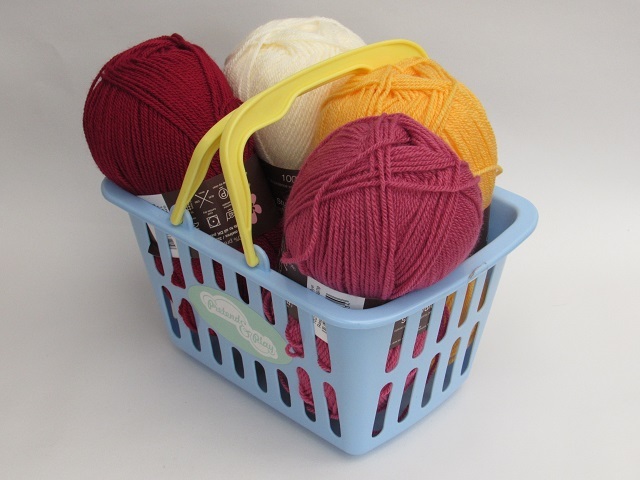 The main tea cosy is knitted with a lining, to make sure the tea stays hot thought out the football match. 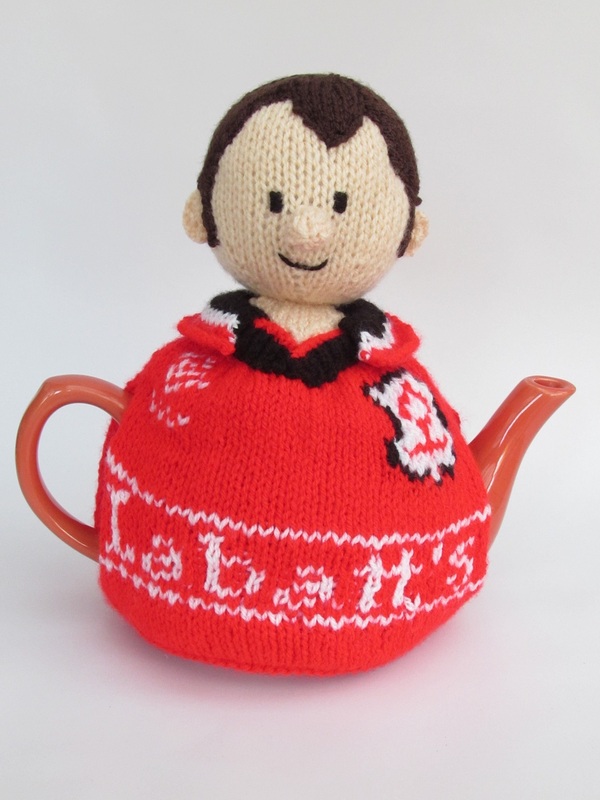 The Notts Forest Footy supporter makes a great tea cosy, but might cause controversy with friends and family who support other teams. 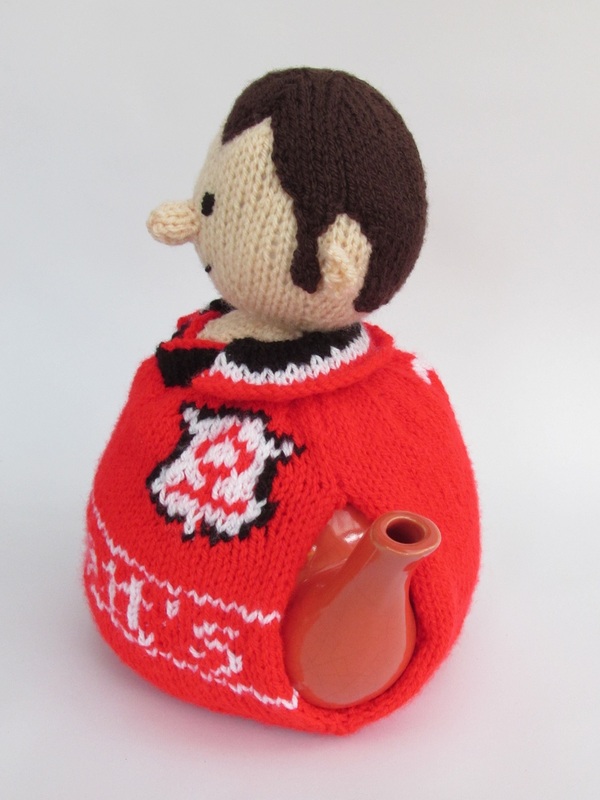 I have added the Nottingham Forest Football Supporter design to sporty folk to celebrate arm chair sportsmen. 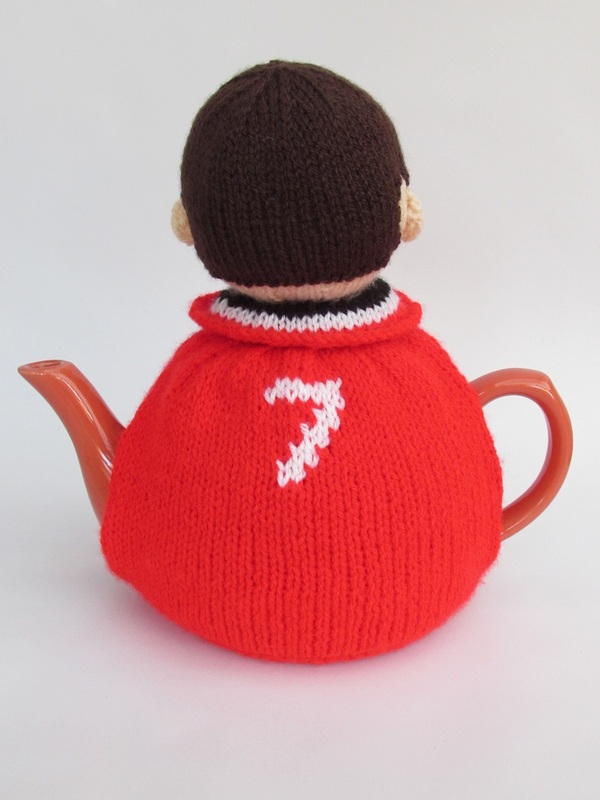 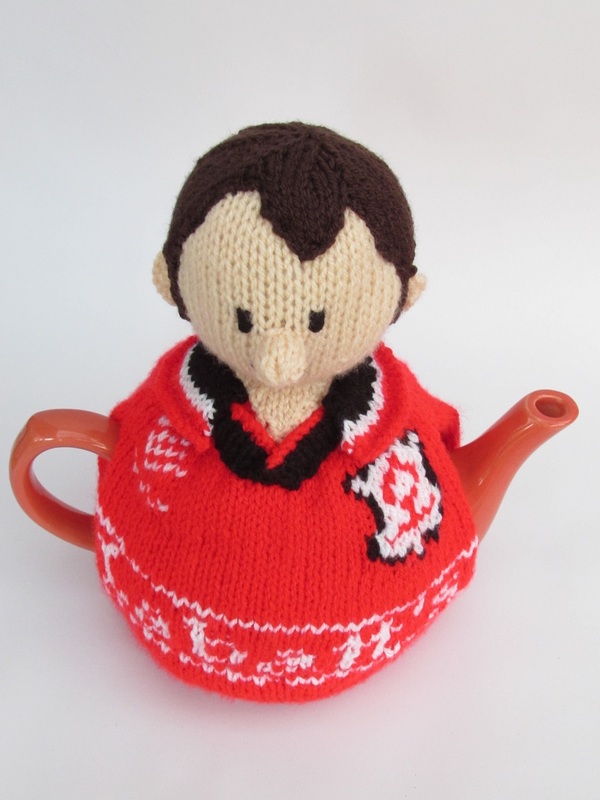 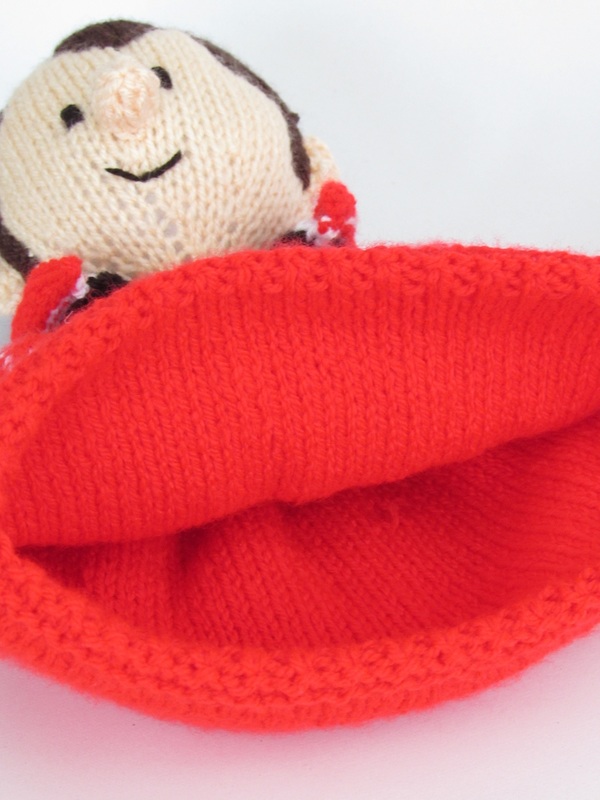 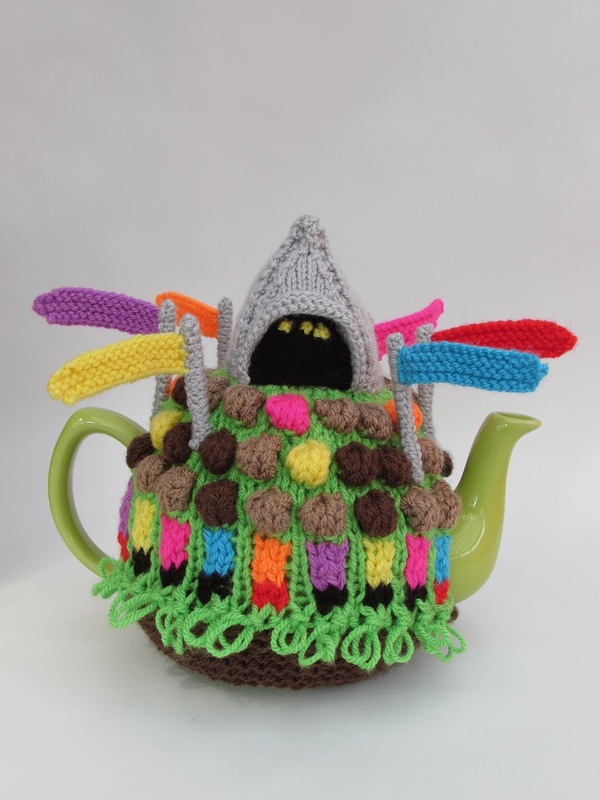 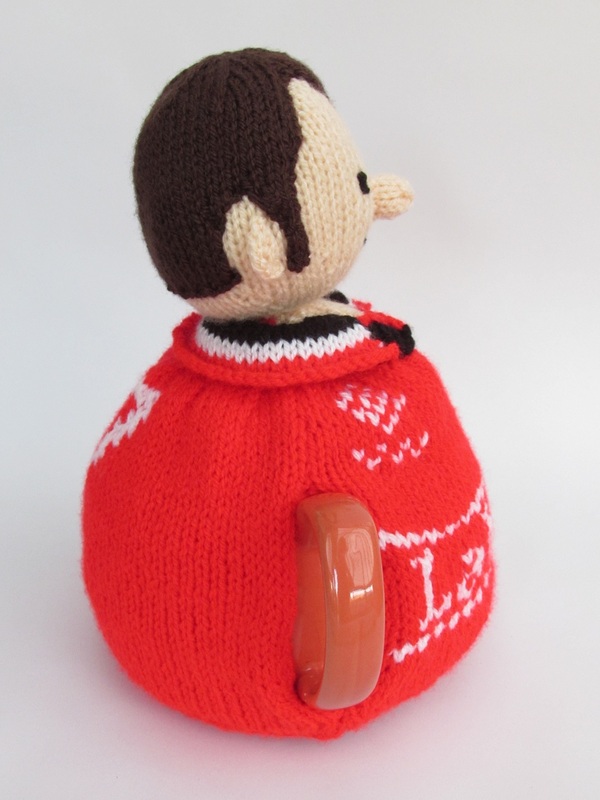 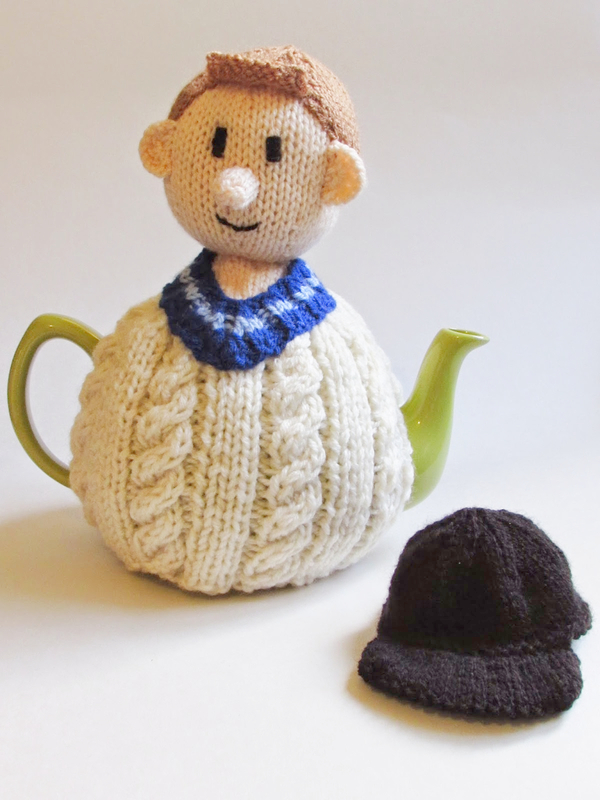 The knitted tea cosy in stock is wearing the Number 7 shirt Matty Fryatt the Striker.